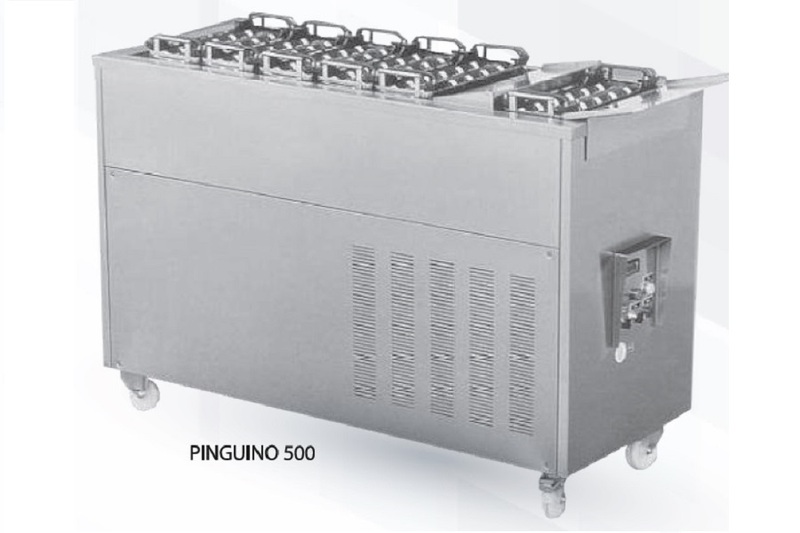 PINGUINO - equipment for the production of ice-cream stick lollies. Pinguino Model 500 and 1000 are designed for small factories or test units ( special version with 2 stages compressor reach -40°C abailable). fferent models, all made in stainless steel AISI 316L high thickness. The equipment operates on antifreeze glycole. High capacity refrigeration system, with semi-hermetic compressor, allow the achievement of the temperature of -35 ° C. These temperatures are required for rapid freezing of the product with uniform and creamy structure. Built-in defrosting bath. Defrosting and separation of the product is simple with built-in cooling bath electrically heated stainless steel.